Appian Way Vineyards is located in the fertile wine growing region of Northern California. Morning fog rolls in from the Pacific Ocean through the coastal hills following a natural path carved by the Russian River. During summer and fall the cooling fog prevents overheating, which helps vital acids ripen the grapes. The unique climate and soils of the Russian River Valley appellation provide the best conditions for growing ultra premium Pinot Noir wine grapes. 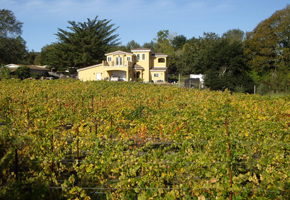 Every development phase of Appian Way Vineyards has been guided by a devotion to quality.